Bring dawn all ingredients(8) and reach 80000 points to complete the level. Candy crush is not easy in dreams and you need to bring down 8 cherries ingredients within 25 moves with grill boxes and that could make problems but still you can complete requirement if you play with good trick. To complete this level you must need to make special candies like colorbomb by combining five same color candies or wrapped candy by making ‘T’ or ‘L’ shape and try to combine with each other. 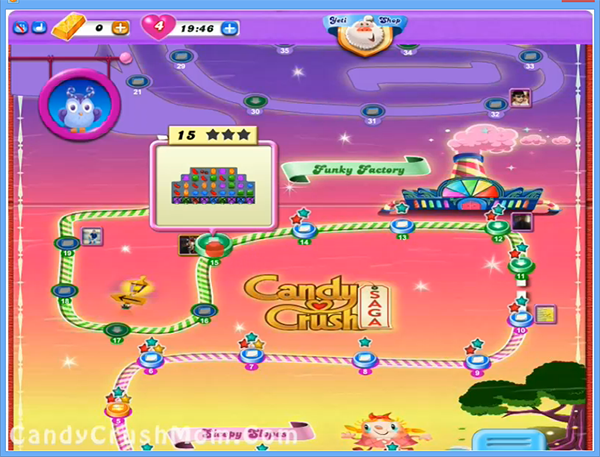 This level board is small and have 38 candies so you can bring more cherries easily. You should also make full moon power so you can have more same color candies to make more special candies and dot forget to balance the Odus owl. We completed this level with 102500 score by making colorbomb and combine with striped candy and complete this level luckily with last few moves and get three star points.